Sako 85 Synthetic Black is a new darker take on an all-time favorite giving you trouble-free ownership and legendary Sako performance. Black grip areas against the black satin-like stock create a stunning profile. Matte blued barrel and trigger components complete the totally blacked out appearance. This Sako rifle is fantastic! After having spent some time in the local sports stores handling and evaluating rifles (remington, winchester, tikka, ruger, marlin, browning), it was easy to conclude that Sako is a cut above the rest. However, even the Sako A7 isn't in the same class as the Sako 85. So I found a great deal here on this synthetic black rifle and purchased it. Except for color, it is identical to the Finnlight model (which is $500 more). It's very lightweight but absorbs recoil well. The bolt is tight and smooth as silk. This is a gun I will be able to pass down from generation to generation. Fantastic rifle sold by an outstanding website. I had been researching rifles for well over a year and had pretty much ruled out the Sako 85 as it was at a price point of $1600, territory I wasn't willing to go to. 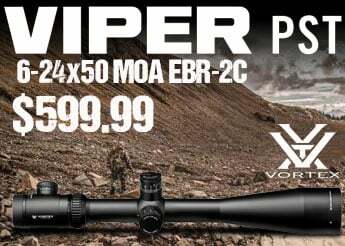 However I came across EuroOptic and they had this model on sale for less than the Sako A7 over at my local Bass Pro. 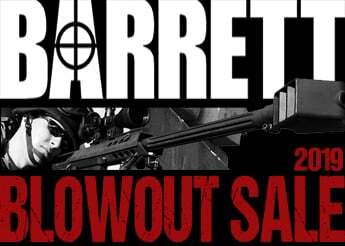 Added a Kahles Scope and the rifle shipped out three hours after the sale, Wow! I called and a real person answered the phone, Jason was very polite and answered a question for me on the FFL transfer. I guess this is more of a review of EuroOptic than the Sako 85. Both exceeded expectations, buy with confidence!!! Wow, what a great gun! I'm not surprised though, it's a Sako. I just sighted mine in at 1.5" high at 100 yds with a Vortex scope and it's dead-on. Very accurate. I love Sako rifles (I have 4) because I can shoot them many times in a row and not lose accuracy due to barrel heat (unlike my other brand guns). The bolt is very smooth and flawless. At this price, this gun is a bargain, I'm thinking of buying another for my son. It's much better than my other brand gun that I was planning on giving him. Have not tested it yet but the rifle looks awesome. Fast shipping and wonderful fast service getting receipts,tracking #. Lastly you won't find this gun for a lower price. Feel secure knowing you get more bang for your buck with the quality you look for. This is not the first Sako I have purchased so I knew what I was getting into. My Bavarian is such a good looking rifle that I spend more time worrying about scratching it than using it. 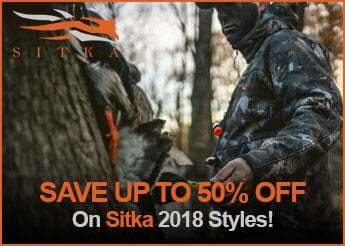 The synthetic is a good fit as it's ideal for hunting. My black synthetic is fitted with Sako Optilock rings and Trijicon scope .Everything is matte black and it looks very sharp. No surprises with the accuracy, tight groups right out of the box. 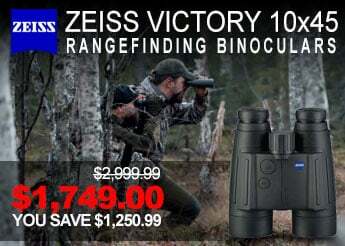 The big surprise was the price, as I have never seen discounts of this magnitude on these rifles. Furthermore,I got a deal on the scope and the rings, everything is new out of the box and I'm very happy the way my purchase turned out. Best production rifle on the market. The stock is lightweight and ergonomically superior to every other rifle I've handled. Similarly, the bolt is smoother, faster, and locks tighter than any other rifle I've handled. The bolt handle recesses into a molded groove in the stock to allow early engagement and keeps your hand well clear of the scope at the top end of the beautifully short throw. The rifle as a whole is nimble and elegantly lightweight, yet just heavy enough to absorb some recoil. 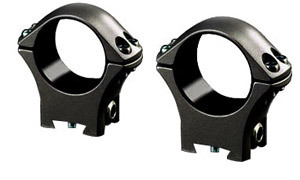 The steel magazine is incredibly durable AND has great fit and finish...and performs flawlessly. Need I say that this rifle is a tack-driver? If you're like me and you own one - and only one - hunting rifle, this is the one to get. Choose your caliber, get familiar with the rifle and the cartridge, and together they will do everything you need them to do for the rest of your hunting days. No need to spend $500 here, $700 there on different guns; just buy one and done. 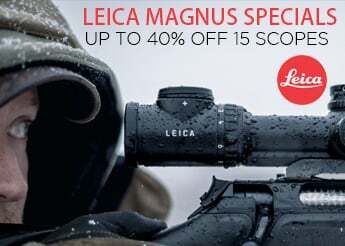 I'm surprised that EuroOptic can sell these rifles for $500 under MSRP, but I'm glad they do!...at $1600, this rifle is out of reach for me financially, though still worth every penny. Thank you EuroOptic for putting these superb rifles within reach of ordinary working people. Handles very well, great weight and feel.Can't beat the price for a Sako. Was nice to pack around elk hunting this season. The stock rubbed against a buckle on my pack on one hike and before I noticed had worn a spot off the rubberized coating fairly quickly. Also when taking off the cleaning bench it hit and broke the light fixture and the glass scratched the blueing at end of the barrel. I guess I just can't have nice things! 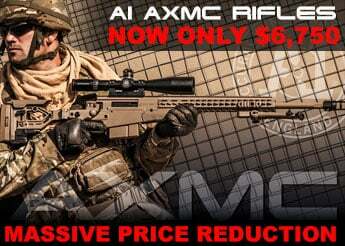 Even without the $100 gift card EuroOptic was offering, this rifle is an absolute steal for $899. I also have a Tikka T3x CTR (in .308) which I thought was best sub-$1,000 factory bolt rifle ever. But after holding, handling and firing the Sako85, I can't say that anymore. Tikka is still superb, but the S85 is just a cut above ... better weight and balance ... and that synthetic stock feels like natural extension of my arms. Bolts are different, of course, but both are so much smoother and silky compared to the my Weatherby Vangaurd and Rem700. First day at range, the fluted barrel heated up after first 5 rounds, but no flyers in the second 5 rounds. Out of the box accurately as advertised. 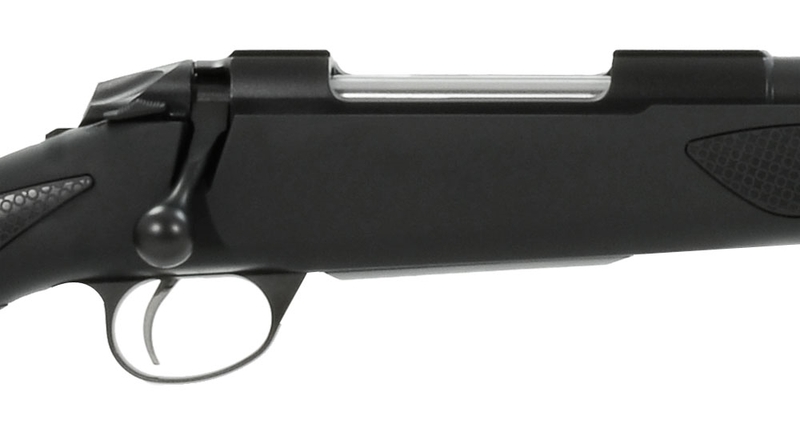 Sako 85 Black Synthetic in 30-06 is a feather-weight Boom Stick. This is what you want to wrap and carry on long distance stalking. Not sure I would pay the price of some Sako85 models, because Little Brother Tikka is amazing bolt gun. But at $799 net, this S85 was actually $200 less expensive than my Tikka CTR. The 85 is a very nice rifle, especially at this EuroOptic price. Shipping to my local FFL was fast. Thank you EuroOptic, I'll be back.